As a member of the Paramyxoviridae group, Newcastle disease virus (NDV) is the key causative agent of New­castle disease (ND) that attacks chickens, turkeys and other avian birds. Surviving birds showed impaired growth, altered feed utilization, reduced egg production and resulting in severe economic losses. To alleviate its detrimental effect on growth rate and efficiency of gain, NDV inoculation has been used to protect the chick from ND, and this is one of the challenges that broiler faced throughout their life. Immune stress as well as other forms of stresses is dir­ectly or indirectly translated to the body by the following two common ways: hypothalamic-pituitary-adrenal axis, resulting in the release of corticotropin-releasing hormone, adrenocorticotropic hormone and glucocorticoid and the sympathetic-adrenal medullary axis, resulting in the re­lease of catecholamines. It is reported that continuous delivery of adrenocorticotropic hormone increased plasma corticosterone, glucose, cholesterol and total protein con­centration. Elevated corticosterone concentration re­sulted in many deleterious effects on broiler performance. Corticosterone treatment affected the preference and ap­petite of broilers, and had inversely proportional to body weight. Corticosterone induced gluconeogenesis, protein catabolism and fat deposition. 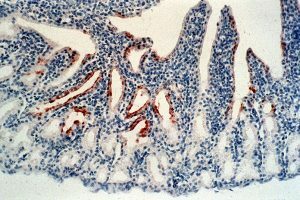 Insulin signaling in chicken liver and muscle was also impaired by cor­ticosterone through different mechanisms. A previous study showed that routine vaccine immu­nization decreased feed intake, body weight gain (BWG), nutrients digestibility and accompanied by markedly en­hanced plasma IgG concentration. However, sheep red blood cells immunization dose not induce any differ­ence on feed intake, body weight, rate of gain and the metabolizability of gross energy in pullets. Growth performance was not affected, and immune response re­quired very little nutrient cost by a single or limited amount of immunization in domesticated fowl. Moreover, in modern poultry industry, vaccines were ad­ministered in large doses at a high frequency to reduce the mortality, especially when using oral vaccines. The effect of high level vaccination on immune status, en­ergy and nutrients metabolism in broiler chickens was not fully elucidated. So in the present study, Authors used vaccin­ation itself as a stressor to investigate the effect of different levels of NDV on the performance, metabolism, immune responses and carcass characteristics of Arbor Acres broilers for better understanding of immune stress on broiler chickens. All protocols were approved by the animal care commit­tee of Northwest A&F University. One-day-old Arbor Acres broiler chicks were obtained from Shaanxi Zhengda Commercial Hatchery (Xi’an, China) and housed in a temperature controlled room. Ambient temperature was controlled at 35-33 °C for the first week and declined 2 °C each week until it reached 24 °C. Feed and water were supplied ad libitum, and continuous light was provided for the duration of the experiments. All diets were formu­lated to meet or exceed the requirements of National Research Council. On d 8,480 broilers were randomly allotted to four groups, with six replicates and 20 birds each. The initial body weight (BW) was not significantly different. Newcastle disease virus thermo-stable live vaccine (La Sota Srain, yellowish spongy solid, Nanjing Tech-bank Bio-industry Co., Ltd, China) was dissolved using steril­ized saline. The chickens in good health were adminis­trated with 4, 6 and 8 doses of the vaccine at 12 d and 28 d by eye-drop and drinking water, respectively (abbre­viated as 4 doses, 6 doses and 8 doses groups, respectively). On d 12 and 28, one bird from each replicate was sam­pled after BW measurement. Approximately 8 mL blood sample was collected and transferred to a heparinized centrifuge tube. One part of the blood was used for heterophil/lymphocyte ratio and lymphocyte proliferation assay, and the other part was centrifuged at 2,000 g for 10 min to obtain plasma for later biochemical analysis. On d 28, the birds were killed by cervical dislocation after blood sampling for the weight measurement of bursa of fabricius, spleen and thymus. Relative weights of each organ were calculated. On d 12 and 28, the heterophil/lymphocyte ratio was determined according to Zhang et al. In brief, 5 pL blood was used to make a smear on a clean glass slide. The smears were stained with Wright-Giemsa after dried. The cell numbers were counted under a micro­scope at a magnification of x100 with oil immersion by a trained person. In each visual section, a cumulative total of 100 cells including heterophils and lymphocytes were counted. The heterophils/lymphocytes ratios were then calculated. The concentration of plasma cortico­sterone and insulin was measured using available radio immune assay kits for corticosterone (ICN Pharmaceuti­cals, Costa Mesa) and insulin (Beijing North Institute of Biological Technology, Beijing, China), respectively. 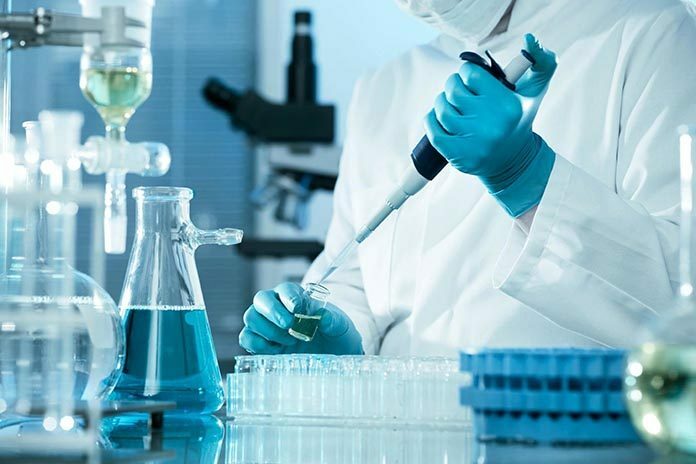 The concentration of plasma glucose, total protein, cholesterol, triglycerides and nonesterified fatty acid was determined with commercial kits according to the manufactures’ in­structions (Nanjing Jiancheng Bioengineering Institute, Nanjing, China). The blood was collected at 0, 6, 12, 24 h, on d 2 and 4 after the second vaccination at 28 d to obtain the dynamic change regularity of lymphocyte proliferation. The T and B lymphocyte proliferation assay were determined according to Zhang and Guo with some modifications. Lymphocyte separation medium (TBD sci­ence, Tianjin, China) was used to separate the lymphocyte. Lipopolysaccharide (LPS, 10 µg/mL, Sigma) and Concanavalin A (45 µg/mL, Sigma) were used to induce the pro­liferation of B lymphocyte and T lymphocyte, respectively. The absorbance at 570 nm was then recorded using an automated ELISA microplate reader (Power Wave XS2, Bio Tek, USA). Stimulating index (SI) was calculated as follows: SI = OD570 (experimental group)/OD570 (blank control). Blood samples were collected from the wing vein at d 6, 10 and 14 after the first inoculation, and at d 5, 9 and 13 after the second inoculation of NDV. Serum samples were prepared and frozen at -80 °C until analyze. NDV antibody quantification was used the hemag­glutination inhibition method. The geometric mean titer was expressed as reciprocal log2 values of the end point dilution. In order to determine the dry matter, nitrogen and ether-extractable lipid of the whole body, one bird from each replicate was killed and defeathered prior to the first inoculation (at 12 d) and at the end of the trial (at 42 d) to determine the initial and final body com­position, respectively. The whole body was chopped into small pieces, and passed through a grinder (Electrical Mfg. Co., Changsha, China). All samples were lyophilized and reground for homogeneity. Dry matter was de­termined by drying at 105 °C for 24 h. Nitrogen and ether-extractable lipid were measured according to Asso­ciation of Official Analytical Chemists procedures. The data were subjected to completely randomized de­sign using the GLM procedure with SPSS 17.0. Signifi­cant differences amongst treatments were determined using Duncan’s multiple range tests. P < 0.05 was consid­ered statistically significant. Compared to control group, NDV treatment signifi­cantly lowered BWG for all doses at 1-21 d (P<0.05), but the difference was not significant at 21-42 d and 1-42 d (P >0.05). The Feed:Gain ratio was higher in NDV groups than control group at 1-21 d (P < 0.05). However, the ratio was significantly lower in 4 doses and 6 doses groups at 21­42 d (P <0.05). Throughout the whole period, 6 doses treated group down-regulated the ratio by 6.36 % (P < 0.05). No significant difference was found amongst all treatments in feed intake for all experimental periods (P>0.05). Relative weight of bursa of fabricius, thymus and spleen was not significantly different amongst treat­ments (data not shown). After the first inoculation at 12 d, plasma corticosterone concentration was elevated in 8 doses group than that in 4 doses group (P < 0.05), and plasma insulin concentration was lower in all NDV treated groups (P < 0.05). However, no significant differences were found in concentration of plasma corticosterone and insulin amongst all groups after the second inoculation at 28 d (P>0.05). The concentra­tion of plasma glucose, total protein, cholesterol, triglycer­ides and nonesterified fatty acid was unaffected by the inoculation (P>0.05). The heterophil/lymphocyte ratio tended to increase with the NDV inoculation dose, but the difference was not significant (P> 0.05). NDV immuniza­tion significantly elevated NDV antibody titer at 10 d after the first inoculation (P < 0.05), and at d 5, 9 and 13 after the second inoculation (P<0.05). NDV antibody titer tended to increase at 14 d after the first inoculation, but did not reach significance (P>0.05). The prolifera­tion of T and B lymphocyte was not affected by the second inoculation at 28 d (P>0.05). The stimulating index at 4 d returned to a concentration not different from 0 h after the inoculation (data not shown). The body con­tent of water, protein and lipid was not affected by NDV inoculation (P>0.05). The nutrients accretion ratio was also unaffected by NDV immunization at 12-42 d (P>0.05). Stress is consisted of different forms, and results in hor­mone releasing. Physiological stress is reported to reduce the BWG and feed conversion ratio. In the present study, NDV treatment reduced BWG and feed efficiency compared with the control group at 1-21 d. The absence of elevation in corticosterone after the second inoculation at 28 d might due to the adaptation of repeated NDV immunization. The BWG was higher and feed conversion was lower in both 4 doses and 6 doses groups than that in the control group, suggesting that a compensatory growth could exist at 21-42 d. Leeson and Zubair, and Lippens et al. also found that the birds suffered from feed restriction expressed equal or even higher energy intake and BWG in the whole phase. This can be explained by the metabolic adaptations and digestibility improvement. Moreover, 8 doses treatment did not decrease feed effi­ciency, indicating that vaccine should be manipulated at appropriate level. It is well established that insulin is the key peptide hormone regulating the metabolism of carbohydrate and lipid in broilers. Insulin induces glucose disposal in adi­pose tissue and muscle, and also prevents the production of glucose in liver. In the present study, no significant change of plasma insulin and corticosterone was found following the second injection. These alterations in plasma hormones can well explain the aforementioned results of growth performance. Insulin resistance is one of the indicators of chronic stress. However, lower plasma insulin concentration in NDV-treated birds was observed after the first inoculation, indicating that NDV treatment induced acute immune stress in the present study. Meanwhile, the plasma corticosterone concentra­tion in NDV injected birds returned to the normal level after the second injection. Effect of stress on metabolism has been extensively investigated, and it is acceptable that stress causes a shift from anabolism to catabolism, and increases lipolysis and protein catabolism. In the present study, no significant change in concentration of plasma glucose, total protein, cholesterol, triglycerides and nonesterified fatty acid was observed. This might due to the sampling time or the NDV inoculation dose. More dy­namic sampling time is needed for the further study. As an important immune parameter, circulating heterophil/lymphocyte ratio is one of the most recognizable symptoms of stress in poultry. Chicks treated with corticosterone showed depressed number of circulating lymphocytes. In the present study, heterophil/lymphocyte ratio was slightly elevated in NDV-treated broilers following the second immunization at 28 d. Although the elevation was not significant, it also sug­gested that repeated NDV challenge can result in a cer­tain immunosuppression. The antibody titer and lymphocyte proliferation is cor­responded to humoral and cellular immunity, respectively. Immune consequence is affected by immune type (immunoprotective, immunoregulatory/inhibitory, or immunopathological), duration and the aspects of immune system measured. In this study, the antibody titers against NDV were significantly enhanced in NDV-treated birds at 10 d after the first immunization, and at d 5, 9 and 13 after the second immunization, indicating that the humoral immune system was enhanced through repeated NDV challenge. Pathogen re-exposure often resulted in a more rapid and effective response than that of the first exposure due to immunologic memory. No signifi­cant difference in lymphocyte proliferation in response to Concanavalin A or LPS was found in broilers between the control and NDV-administrated broilers at 28 d. Authors can speculate that NDV challenge enhanced the function or numbers of T helper cell, and subsequently modulated cytokine production and B cell activation. Stressed broilers typically display a reduction in muscle accretion, and an increase in abdominal fat deposition. However, in the present study, the whole body carcass composition and nutrient accretion rates were not differ­ent amongst all treatments, indicating that NDV immu­nization cannot alter broiler body composition. NDV challenge reduced growth performance of broilers in earlier period after the first immunization, while appropri­ate lower NDV inoculation levels (4 or 6 doses) had benefi­cial effect on feed efficiency in later and the whole growing period. NDV antibody titer was increased at 10 d after the first NDV inoculation, and at d 5, 9 and 13 after the second NDV inoculation. These findings suggest that appropriate lower doses of NDV inoculation increase feed efficiency of broiler chickens.